It saves time and money, and promotes a healthier diet. Meal prep is one simple solution to eating healthier and dining out less often. 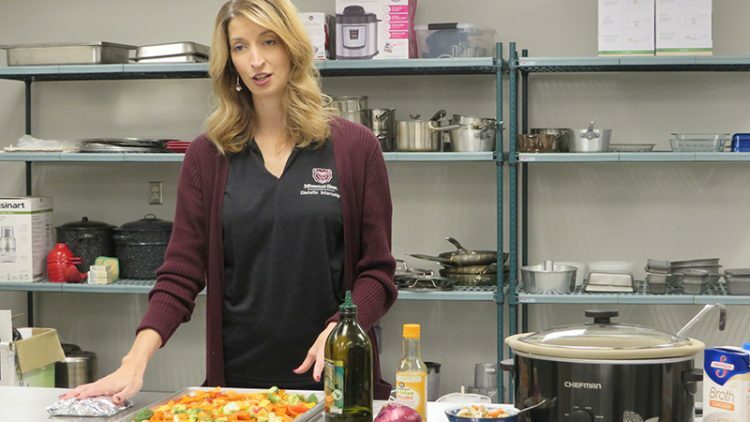 “It’s hard to get dinner on the table when we’re in a rush, so meal prepping is helpful,” said Natalie Allen, clinical instructor of biomedical sciences at Missouri State University. Keep a running grocery list on your smartphone or a piece of paper. You’ll be ready to go when it’s time to head to the store. Use an app to order groceries if you have a smartphone. This saves time and prevents you from buying things you don’t need. According to Allen, one meal prep hack is to buy one set of groceries. Then use the items to make at least three different types of meals for the week. “By following this plan, you’ll be able to save time and money, and eat better,” Allen said.